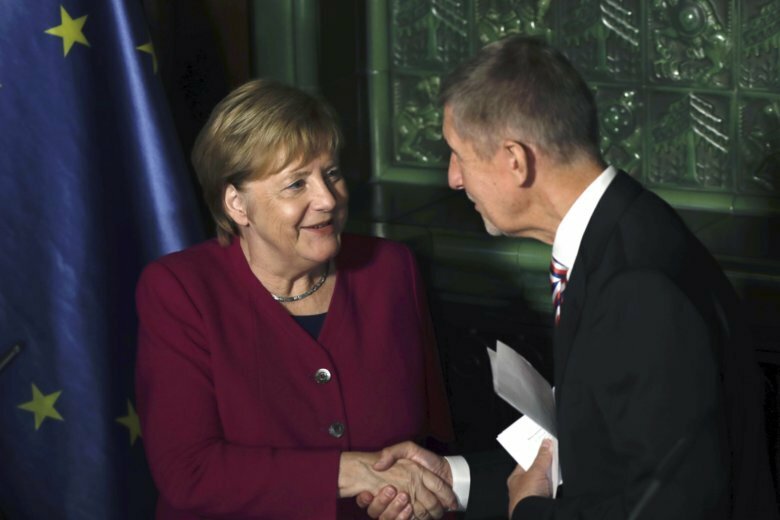 BRATISLAVA, Slovakia (AP) — German Chancellor Angela Merkel and Czech Prime Minister Andrej Babis have found an area of agreement within their conflicting views of migration. Standing together at a news conference in Prague on Friday, Babis and Merkel said the European Union should strike deals with African countries like one with Turkey that helped slow the arrival of refugees and migrants. The Czech Republic is one of four Central European countries that rejected a European Union plan to assign members a required number of asylum-seekers to accept. Hungary, Poland and Slovakia were the other countries against the redistribution plan. Germany was among the EU countries to criticize their position.